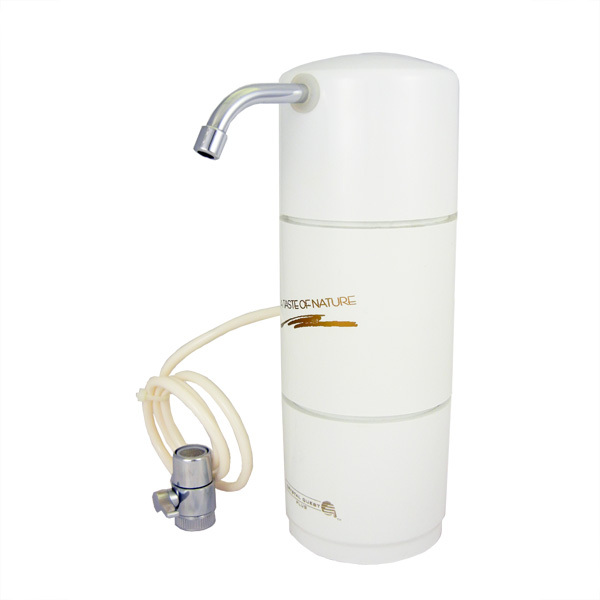 CRYSTAL QUEST Classic Disposable Countertop Water Filter is designed with elegance, functionality and maintenance-free. The system sits side by side with your faucet giving you an instant option to have filtered and none filtered water in one location. 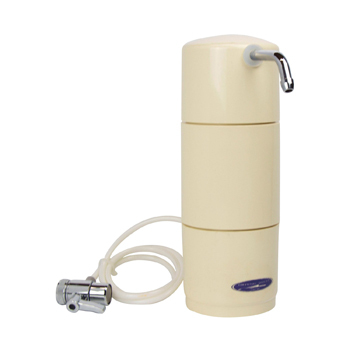 It offers great taste and pureness by eliminating impurities from tap water. 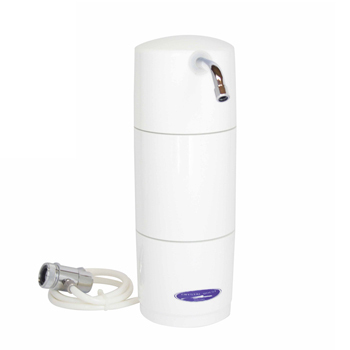 The perfect solution for any household, it is quick and easy to install and use, attractive, convenient, and effectively removes many contaminants from water. 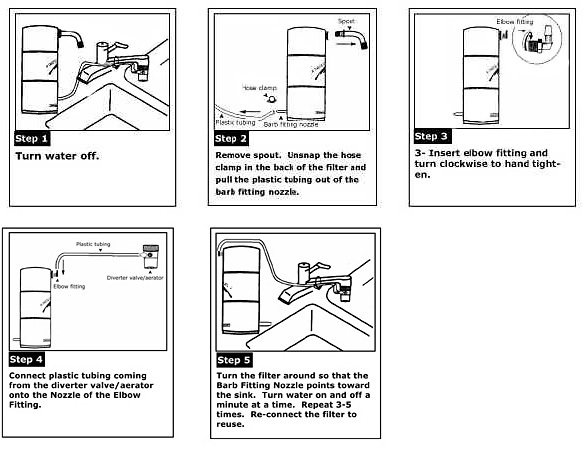 System requires virtually no maintenance after it is installed. 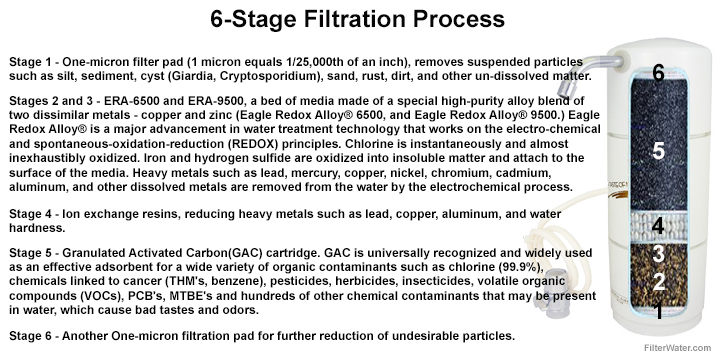 Unique design allows for substantial amount of filtration media, enabling more contact time with water for better and effective filtration. This unit can be back-washed semi-annually for crystal clean water. 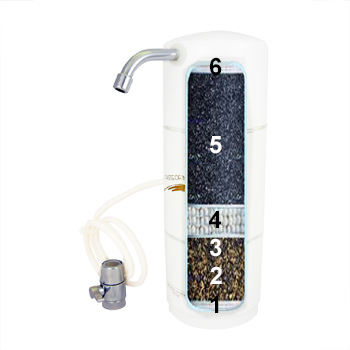 It's 10,000 gallon filter capacity allows usage of up to 1-3 years or when the flow of water slows down considerably before disposal and replacement. Great for homes, apartments or office use. 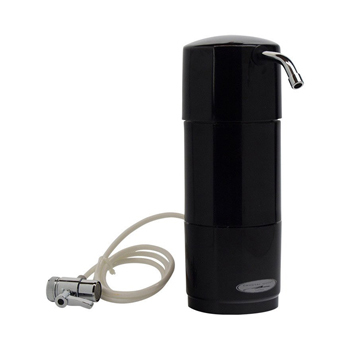 This solid state water filter uses the latest technologies that blend the adsorption capabilities of coconut shell activated carbon(GAC) with Eagle Redox Alloy and more. After being fed up with my children complaining about our water, I decided to give this countertop water filter unit a try. The filter arrived yesterday and was a breeze to install. It was like night and day with the difference from our water to the filter water, we could taste the results immediately! 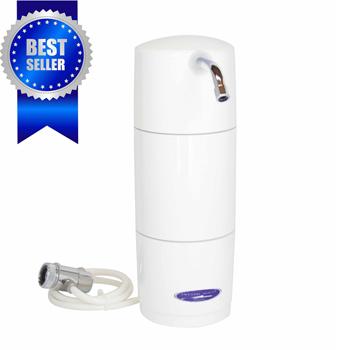 The countertop water filter is a very nice looking product and not an eye sore. I was afraid if the product was too big it might be the first thing people see but that’s not the case at all! It’s the perfect size!